Icon. Legend. Hero. Cranky duck. 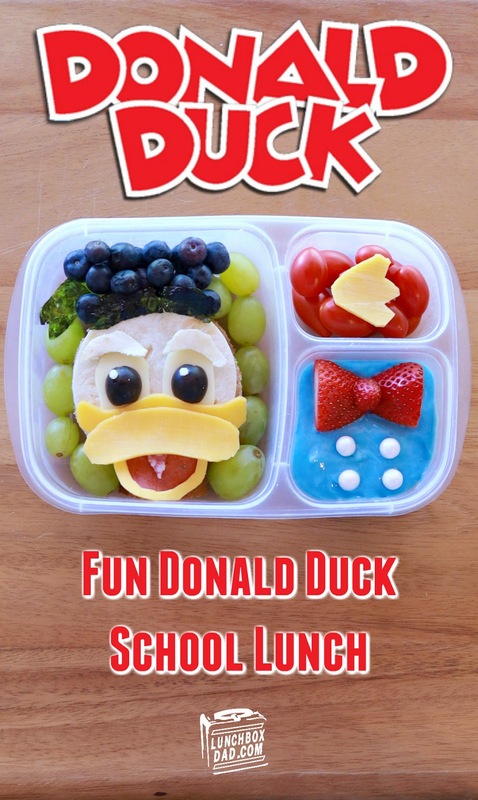 If you don't love Donald Duck how can you even call yourself a human being? I think he sometimes gets forgotten in, or at least ranked lower in, Disney lore. Don't make that mistake. If you have ever been to Toontown in Disneyland you know he has the coolest house by far. How can you beat living on a ship? Sure he has a temper (what duck doesn't), but I thought it was about time that I recognize the genius that is Donald Duck. From his dapper way of dressing, to his intellectual vocabulary, I had so many options to highlight. I ended up landing on a simple footprint and his uniform, and put it all in an Easy Lunch Boxes container. I hope my kids enjoy it and I hope you will as well. 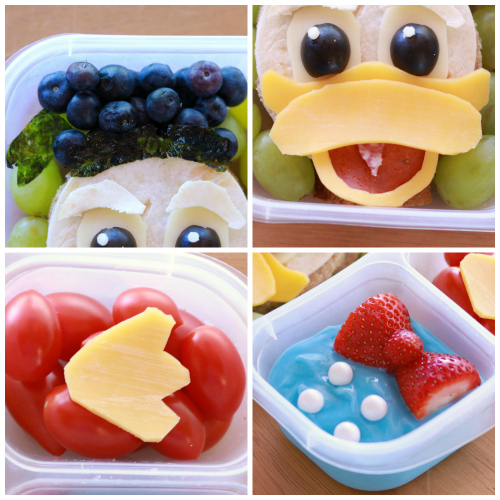 It is pretty easy to make once you see what I used in each container. To see the ingredients, scroll down to read the recipe below! 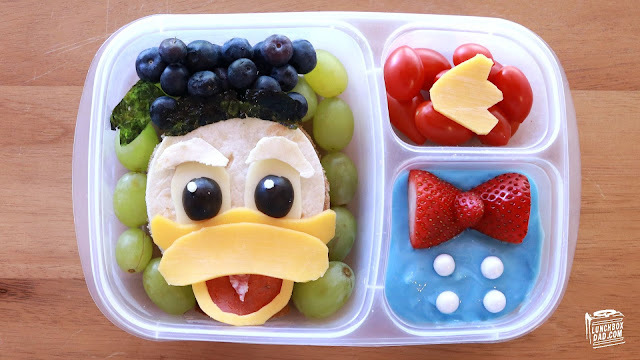 Donald Duck Face Sandwich: Whole wheat bread, flour tortilla, salami and pepperoni (for the tongue and inside of the sandwich), white cheese, cheddar cheese, black olives, grapes, blueberries, nori (roasted seaweed) for his hat. Donald's Shirt: Yogurt with blue food coloring, two strawberries cut into the shape of a bowtie, white round sprinkles. Footprint: Grape tomatoes, cheddar cheese cut into the shape of Donald's foot.